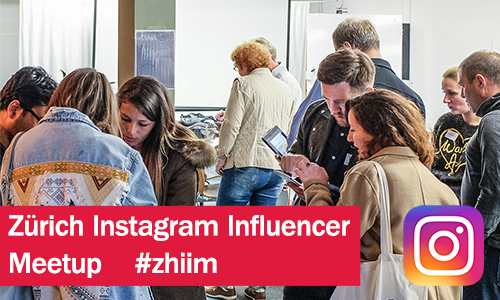 Zurich Instagram Influencers Meetup (#zhiim) is a group of passionate Instagrammers who are using Instagram as their platform to showcase their business, projects or interests. We come together online and offline to exchange experiences, share learnings, cooperate and network. Our meetings are every first Monday of the month at Impact Hub Zurich. #zhiim is a tribe of this lively start-up and coworking community. We encourage your active participation in our Facebook Group and look forward to see you in our monthly Meetup. When referencing this group, please use the hashtag #zhiim.